Jillian has been actively experimenting with traditional fermentation of various foods and beverages for more than 8 years. " 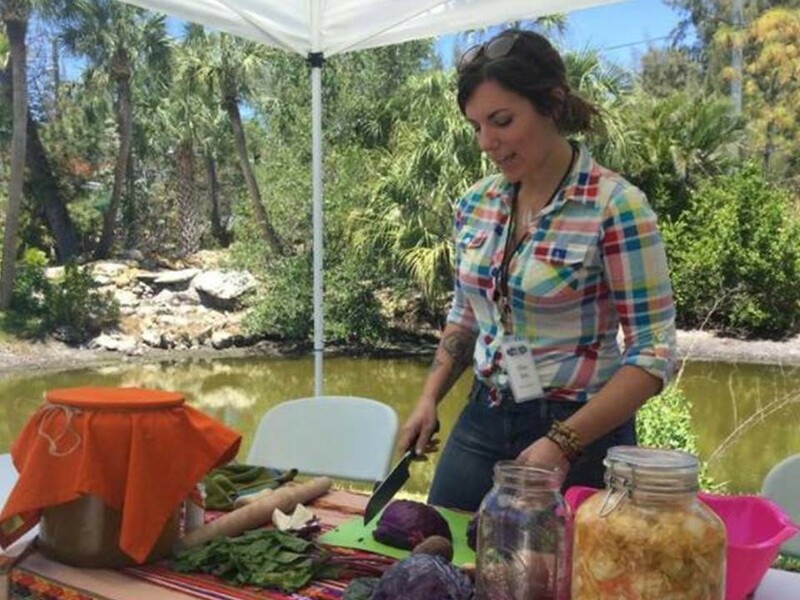 I was on a quest to self heal after being diagnosed with an autoimmune disorder, finding that nutrition played a crucial role for my healing" She now spends her time teaching classes and workshops throughout Florida, educating people on how to prepare and maintain fermentation in their daily lives. Topics cover various subjects including Sauerkraut, Kimchi, Kvass and Kombucha to just name a few. Fermentation is a way to keep the good bacteria alive and bioavailable for the body to use, helping to maintain a balance in the gut. Jillian offers both public and private classes/workshops. "Cause we are living in a bacterial world, and I am a bacterial girl." NOTE: I so appreciate Jillian's love for Florida's wild plant foods, and look very much forward to wildcrafting with her in search of new ingredients for her ferments. Exciting times ahead.